This is the average distance of the Earth from the sun. The is the distance travelled by light in a vacuum in one year. A light year is 5.9 x 1012 miles (approx 6 trillion miles). 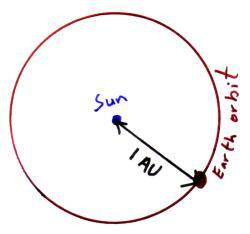 One parsec (pc) is the distance to a star that subtends and angle of 1 arc second at an arc length of 1 AU. How to calculate the distance in parsecs from the parallax angle in seconds. 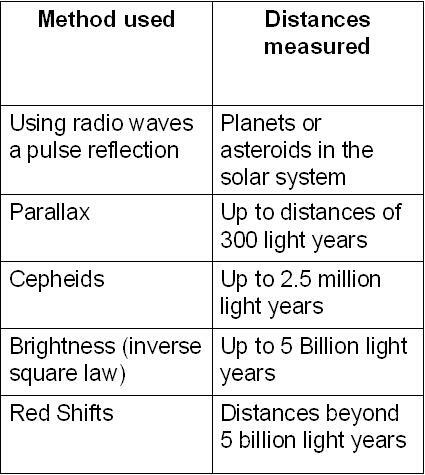 Methods of determining the distance of objects from Earth.